The Chevrolet Equinox has gained fans from Waukegan to Gurnee for its fuel-efficient engineering, spacious design, and incredible technology. And if you’re on a budget, it’s hard to find a better SUV than the used Chevrolet Equinox. 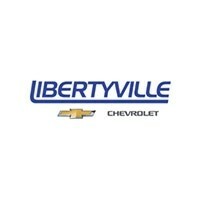 Take a look at our current inventory below, and then visit Libertyville Chevy to get behind the wheel! Want to learn more about the Equinox lineup? Read all about the Chevy Equinox interior! If you’re ready to get the keys in your hand, stop by Libertyville Chevy to experience this stylish SUV in person!